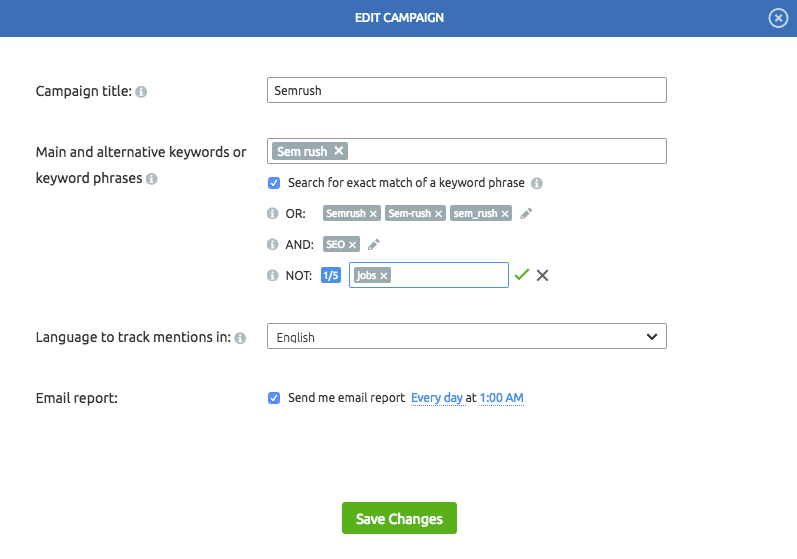 Here’s a new update pack for the Brand Monitoring tool to ease your brand mentions search. Ready to roll? Let’s see what's new. Some of you may have noticed that our wizard has undergone some changes, while to some of you it still looks the same. The reason for these changes is our A/B testing of the new wizard design, which we launched recently. We received a lot of feedback with the question “Where do I type alternative keywords?” In the new design we’ve created a new window with general and keywords settings. There you can add all your keywords in one input line and we will sort them automatically. Now the first entered word will be tracked as the ‘main’ one. The following keywords (the second, third, etc.) will be considered ‘alternative’ and moved to the “OR” input below. 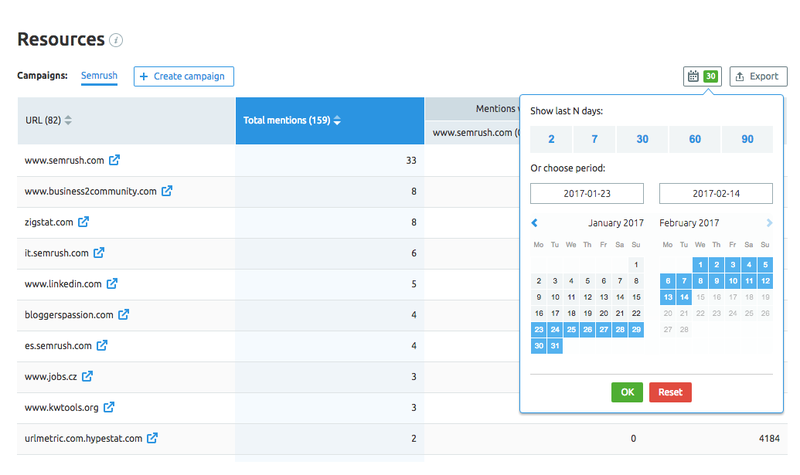 In addition, the Brand Monitoring tool can now search mentions in Turkish – just as you requested. Please let us know what languages are still missing – we’ll add them right away! 1. Make the process of finding your results more convenient with a new handy filter. Select ‘Search in title’ to look for the most important articles that mention your brand in the title. 2. Exclude brand mentions coming on your own domain. Now you can do it with the ‘Block’ button. Just click on it when a mention on your domain appears in your search results. If for some reason you need to unblock a mention, you can easily do so in the ‘Resources’ tab. 1. Now you can add domains to track backlinks right under the charts ‘Mention Volume Trend’ and ‘Campaign Comparison’. Up to three domains can be added and displayed in one chart. The same domains will automatically appear at the ‘Mentions’ section in the ‘Backlinks’ filter. 2. Check what resources have mentioned your or your competitor’s brand name at the particular period of time with a datepicker option in the ‘Resources’ table. You can also check how many backlinks you’ve got on the particular resource for the chosen period. Be aware that the above-mentioned sites have been blocked for some time. If you want us to unblock them now, let us know and we’ll do it in no time. We hope you enjoy this update. The Brand Monitoring tool is constantly developing to be as helpful as possible in your daily workflow. Help us to improve the tool by mailing at [email protected] to join the group of our testers and be the first to try all newest updates.